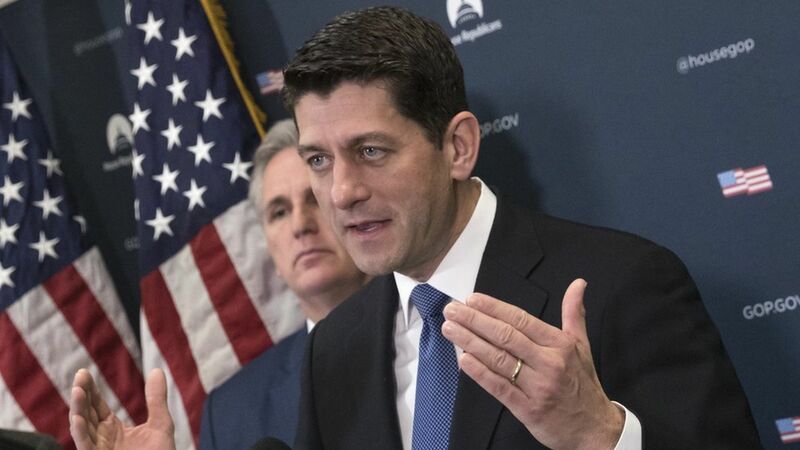 The Republican health care plan would sharply decrease the amount of federal assistance offered to low-income people to help purchase health care, according to a draft bill leaked to Politico. Read on for the highlights of the draft proposal. Eliminates Obamacare's individual mandate, industry taxes and income-based subsidies. It would significantly reduce federal Medicaid spending and cap payments to states based on the number of enrollees. Medicaid expansion would be eliminated in 2020. Expansion states could continue covering those people, but would receive much less money to do so. People would have to keep themselves insured or pay a 30 percent penalty when they sign up for coverage. Starting in 2020, tax credits based on age — not income — would be given to those on the individual market. Those under 30 would receive a $2,000 credit, which would double for those over 60. $100 billion would be given to states in "innovation grants" to help cover high-risk, expensive enrollees. The tax break for employer-sponsored coverage benefits would be capped at the 90th percentile of current premiums. Yes, but: The bill-drafting process involves a lot of revision. If estimates of the impact of this proposal are politically unpalatable, we could see a lot of tweaks going forward. The context: One sign of trouble with this draft: The House health care committees haven't scheduled any markups of the legislation for next week, despite GOP leaders' statements that they'd release more details right after the congressional recess.